• Top notch: renowned Fish Creek identity Alison Lester has claimed the Melbourne Prize. 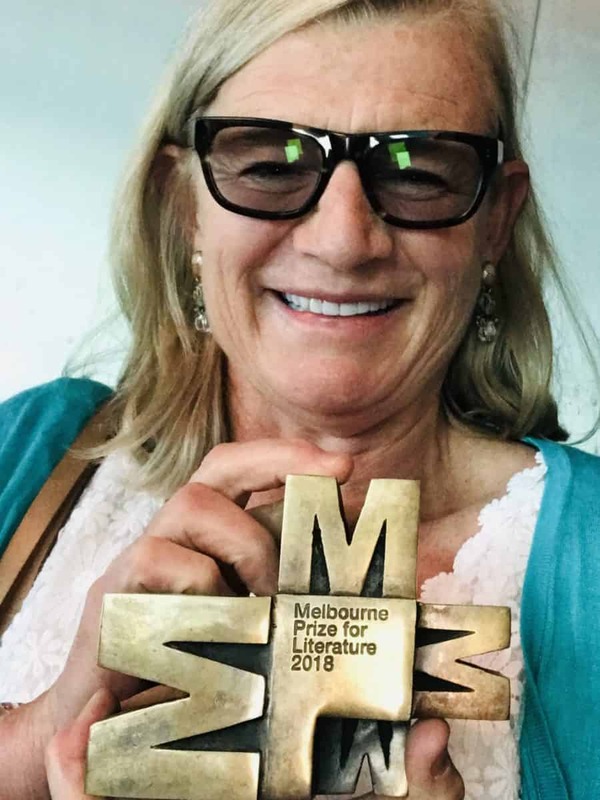 FISH Creek gallery owner Alison Lester has claimed the coveted Melbourne Prize for Literature, pocketing a cool $60,000. The Melbourne Prize operates on a three-year cycle and honours sculptors, musicians and writers. Other writers in consideration for the prize were Tony Birch, Gideon Haigh, Alexis Wright and Christos Tsiolkas. The renowned author and illustrator said she was honoured to receive the prize “and especially thrilled to be the first children’s author to win it”. “I’d like to thank Simon Warrender for a fabulous job managing the prize, his board and The Vera Moore Foundation, The Tallis Foundation and the Melbourne Prize Trust who make the prize possible,” she said. “Thank-you Amy Thomas from Penguin Random House Australia, for writing a great nomination and my main publishers Penguin, Allen and Unwin, Affirm for all your support. She also praised her project manager John Cooper “for making the Fish Creek shop such a beautiful thing”. “Love and thanks to Eddy, the kids and grandkids, you are the best, and a rich vein to tap. And my extended family and friends, you are all part of the books,” she said. It was in 1985 that Alison decided to produce her own book, after six years working as an illustrator on other people’s works. Among her most enduring books are Magic Beach, Noni the PonyandAre We There Yet? Fish Creek author Liz Farrell said Alison’s winning of the Melbourne Prize was well deserved. “Alison has been writing children’s books for decades and she does a lot of work in the community, centred around her books,” she said. The work Liz – who writes under the nom de plume of E.V. Farrell and recently published her fist young adult title Willow Bloom and the Dream Keepers – referred to, includes an involvement in community art projects and time spent travelling to remote Indigenous communities, where she uses her books to help children and adults write and draw about their own lives. While Liz believes that Fish Creek is an “arty town with a creative vibe” she thinks Alison’s award is further proof that if you’ve got the talent and drive you can live anywhere and still make it big in the literary world. “We’re living in this tiny little place in the world, but it doesn’t matter – as long as you’ve got the writing tools. You can live in Fish Creek or New York. We now have the kind of technological exposure to be known anywhere,” she said. “I delivered my manuscript to a publisher in the UK via email. We’ve never met. We talk via Skype. It’s a different world.